They know him as the Mozart of the East or, simply, as 'the genius'. In most cases, that is about all they know of the shy, fiercely private man whose music has moved mountains at the box office. Indian journalist Kamini Mathai gives us a detailed, intimate portrait of the life and times of A R Rahman in his first -- although unauthorised -- biography. It's ironic that the man who now plays to audiences in Broadway lives down one of the narrowest lanes in Kodambakkam in Chennai, the fourth largest metro in the country. Kodambakkam is the area where a large percentage of the city's film fraternity -- producers, directors, musicians and technicians -- live, and this is the place that lends the K to Kollywood (Kollywood refers to Tamil Nadu's film industry). Fourth Street, Subbraya Nagar, Kodambakkam. This lane is home to Allah Rakha Rahman, the country's international composer. It is from here that the man -- whom India loves to call the Mozart of the East -- composes some of the country's most hummed tunes. It is from this little street that albums, which have sold more than 100 million copies worldwide, are created. This is the street that produces music that is listened to in every corner of the country and now across the world. Once you're on this street, it's very easy to find Rahman's house. Everyone, from the old man carrying his groceries home to the tea shop owner, can point you to it. Fourth street is not a boulevard, it's just an ordinary street, with regular people drawing kolams (rangoli or coloured patterns in powder) outside their house, praying at the local temple, dogs barking, the occasional cow straying through. There is nothing spectacular about the locality. You certainly wouldn't imagine there's a millionaire musician living in the middle of it. The only clue to the fact that there is a so-called important person living on this street is the line of parked cars outside house number five. And the tall gates and high walls that fortify the building. Since 1988, when Rahman moved into this house, the entire area started looking up. Rahman and his family have bought up most of the buildings on the street as well as the ones on the street behind for their houses, recording studio and school. Arjunan Master was like a godfather to Sekhar's children, keeping an eye on everything, from the education of the daughters and making sure that little Dileep got work, to the construction of the house in Kodambakkam, in which Rahman lives to this day. Arjunan had a family back home in Kerala but it was with Sekhar's family that he spent most of his time and energy. Soon, Dileep was in demand, and every composer wanted him in their orchestra. In two years, Dileep, barely in his teens, had managed to extend his repertoire to Telugu films. 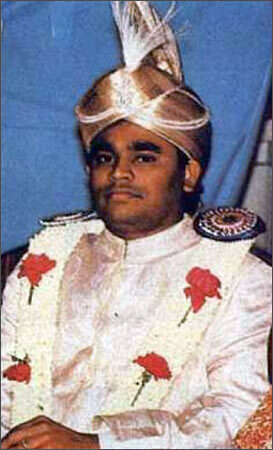 He even played film music on All India Radio for three years between 1983 and 1985. Composers liked him not just because of his ability to quickly pick up a tune and play it but also because of his electronic skills. He was always picking up on the latest in technology, impressing the composers and giving the other musicians a run for their money. 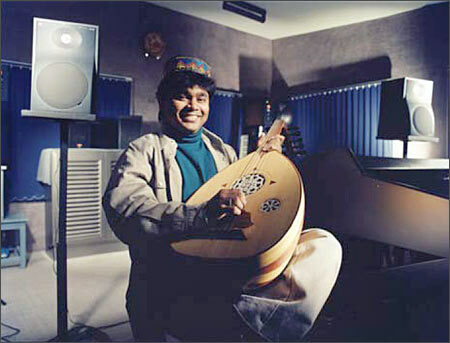 Whenever an instrument was giving trouble, you just had to call Dileep in to fix it. He didn't just play his instrument, he knew it inside out. He was always opening up his keyboard and peering inside. 'He would open it up, dust the insides, find out what made it tick, what made it click and then shut it up again. 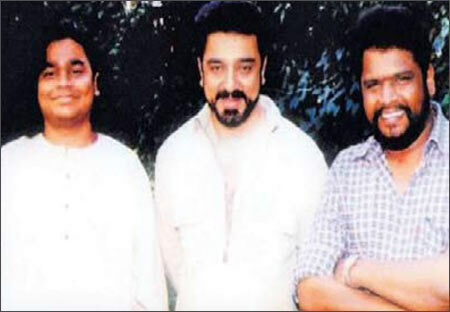 It was no wonder he was the highest paid and the most in-demand keyboardist in those days,' says Thumba Raja, a percussionist who played with Dileep then and is now a part of Rahman's team. All through the sessions Dileep would sit quietly amidst his console and his keyboards and fiddle around. He always felt the reason he grew up so fast was because he spent so much time with people who were nearly three times his age. 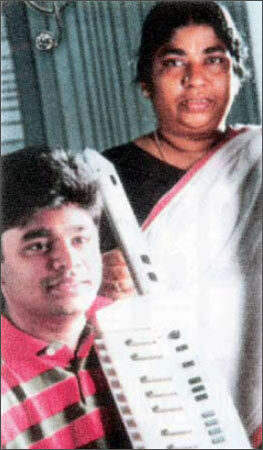 Ironically, before Arjunan Master got him started on sessions, Dileep wasn't even thinking of music as a career. He was thinking of becoming a driver like his mother's father or perhaps an electrician like his grandfather and uncles. 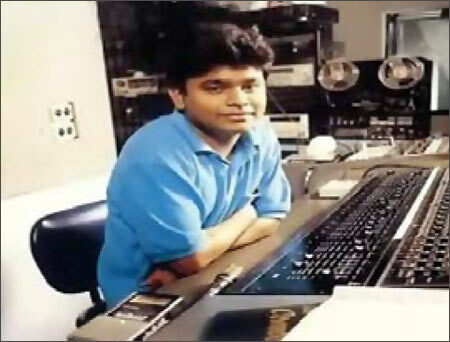 Rahman says that over the years, before he started playing sessions, he thought up a number of career options for himself -- one of them was making a livelihood out of repairing keyboards since he knew them inside out. In fact, that was his first job and he used to earn Rs 50 for every piece he repaired. L Vaidyanathan, who used Dileep in 1986 for his movie Sobhraj, says the young Dileep was very quiet at the recordings, you could hardly hear him speak. 'When the others used to go out and chat and smoke, Dileep used to stay by his keyboards practising,' he says. Vaidyanathan says everyone had a lot of respect for the teenager as they all knew he was supporting his family and missing school as a result. When Mani Ratnam came to him with the idea for Roja in 1991, Dileep knew it was not a very lucrative offer. He knew composing for it would take him six to seven months of concentrated effort. But Dileep knew if he worked at it, the payoff would be much bigger than the Rs 25,000 that Mani was offering him. And he was right. 'With every jingle I was making Rs 15,000, so 25,000 for an entire movie was monetarily not worth it. But I knew it was not the same. Roja was catering to a different audience and I would be working with one of the most admired directors in the country and a cult producer in K Balachander. I knew this was worth the sacrifice. Roja was a small budget movie and was a risky subject for them. And they were giving me a break,' Rahman says. And he knew that if he didn't make the cut as a composer he could always go back to jingles. What he didn't know was that Roja was going to change his life forever.